Marie Tribouilloy’s new wine shop Forêt Wines is already a well-stocked extension of her living room. Tribouilloy is one of the owners of Ops, a pizzeria and natural wine hub, which opened in the fall of 2016. Having a shop was the next step. Now her record player sits inside a sun-filled space on Forest Avenue (working in the restaurant industry, she jokes that she’s never home), attempting to fill a gap in the neighborhood’s beverage scene. 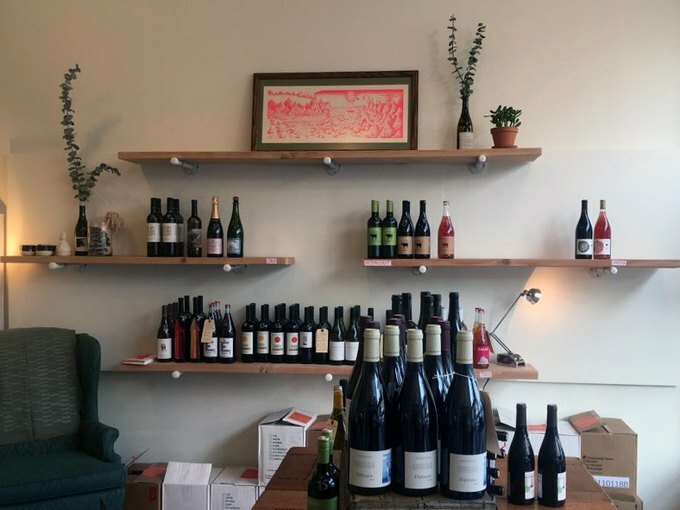 Forêt, French for forest, sells natural wines at all price points—there’s an ample selection in the $12 to $15 range—to the Ridgewood community. Over the years Tribouilloy has developed relationships with producers and importers. A friend suggested a shop, and the space, which sits between the Sundown Bar and Cafe Esencia, was vacant. She applied for a liquor license last summer and had it approved in mid-December. She tried to get open for the holidays but the paperwork came through in early January, a challenging time to open a wine shop. 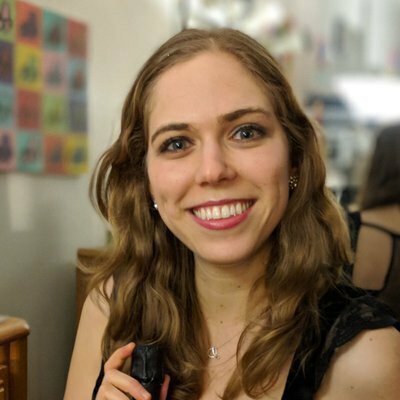 Tribouilloy's love for the neighborhood is huge, she’s a regular at many local spots including Burek Pizza, Little Egypt and The Seneca (she loves their breakfast tacos). Her neighboring businesses feel like family, she says, “It feels like a tv show, we are always visiting each other’s shops.” Inside the details are coming together as curtains and knick-knacks arrive. Tribouilloy studied graphic design and designed the logo, which she handstamps on each bag. Photo courtesy of Marie Tribouilloy. In the coming months, Tribouilloy will build an online store to ship wines and start a subscription wine club with curated cases for members. Tastings will happen frequently and the shop will eventually host winemaker dinners. Customer feedback is hugely important as she learns people’s tastes and checks on her recommendations. Tell her what you’re having for dinner and she’ll be delighted to suggest a wine. 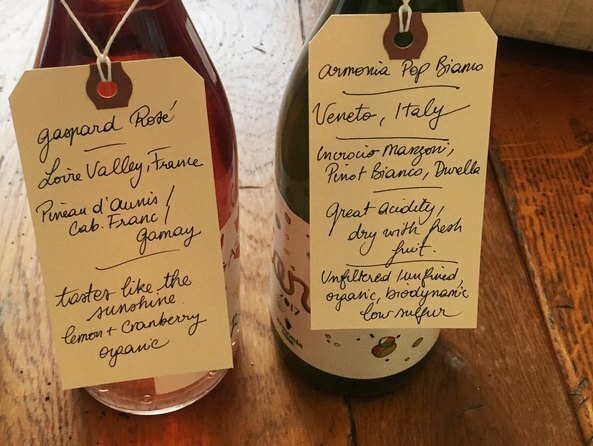 Natural wines tend to be more versatile, she assures, and there’s no need to stick to old fashioned pairing rules, especially when people’s palates are so diverse. 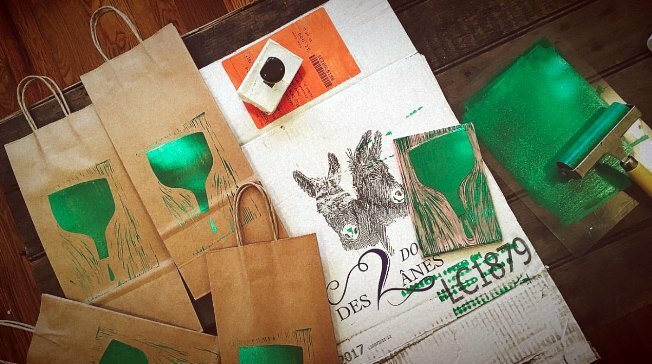 If you prefer not to chat, she labels the wines with detailed tags that lean a little goofy. 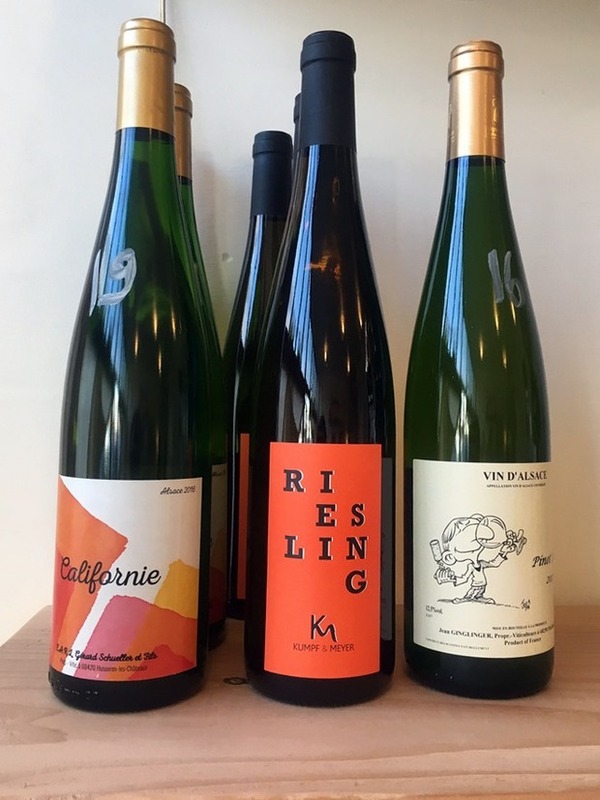 The selection leans towards France, where Tribouilloy is from (she grew up in the Alps), and also features wines from Italy, Spain, and the U.S. She’s got lots of reds for “the cold season” and is on a major Riesling kick. Hours (through end of February): Thursday-Sunday, 12 p.m. to 8 p.m.
Cover photo courtesy of author.